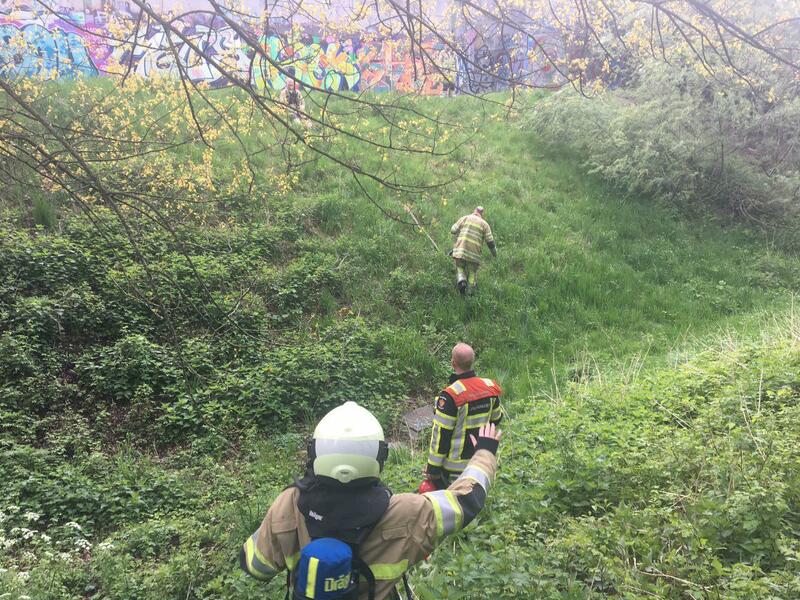 Rond 17:00 is de brandweer uitgerukt naar een buitenbrand aan de Oude Utrechtseweg. Daar was een brandlucht te ruiken, maar nergens was brand te bekennen. De brandweer is samen met meerdere politievoertuigen gaan zoeken in het gebied. Al gauw bleek er aan de Oude Utrechtseweg niks aan de hand te zijn. Brandweer en politie zijn toen aan de andere kant van de IJssel gaan zoeken en zijn uitgekomen bij het tankstation langs de A2. Na een kort onderzoek daar bleek ook hier niets aan de hand te zijn. De politie vond het welletjes en zijn toen vertrokken. De brandweer is blijven zoeken en is uiteindelijk -na lang zoeken- uitgekomen in Nieuwegein. In een park, langs de A2, lagen brandende takken tegen de geluidswal. De brandweer heeft deze eenvoudig kunnen blussen met een emmertje water. Brandweermannen van IJS913 wagen zich een baan door de wildernis. De brandhaard bevond zich nog een aardig stuk van de brandweerwagen af. 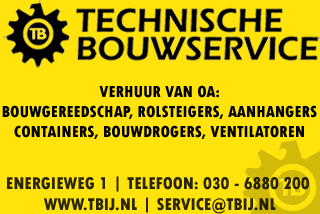 De alles vernietigende brand is gevonden en geblust! 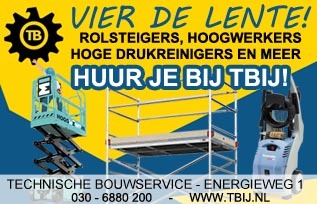 Inpakken en snel terug naar IJsselstein! hi!,I really like your writing so so much! proportion we communicate extra approximately your article on AOL? I need a specialist on this space to unravel my problem. Maybe that’s you! Taking a look forward to see you. I wanted to post a small message to thank you for the lovely points you are showing here. My extended internet investigation has now been paid with professional facts and techniques to talk about with my good friends. I ‘d mention that most of us visitors are unequivocally lucky to dwell in a really good site with very many outstanding individuals with useful secrets. I feel rather fortunate to have come across the webpages and look forward to really more fabulous moments reading here. Thanks a lot once again for all the details. I’d been suggested this web site via my own uncle. I’m do not certain if this submit is written by means of him while no one else identify such given pertaining to my dilemma video youtube terbaru. You will be amazing! Thank you! You could potentially surely see your commitment in the function you are submitting. This industry desires for a lot more ardent copy writers such as you who are not worried to say that they imagine. At all times follow the soul aplikasi prediksi saham indonesia. It is actually in point of fact an excellent plus beneficial piece of information and facts. I am just glad you embraced this useful information along with us. Please keep us current similar to this. Many thanks for spreading. It is actually in point of fact an excellent plus beneficial piece of information and facts. I am just glad you embraced this useful information along with us. Please keep us current similar to this. Many thanks for spreading. Amazing concerns listed here advantages of celebrity endorsement. We are very contented to talk to your article. Many thanks that i’m taking a look forward to feel anyone. Do you want to kindly drop us a e-mail? Another person basically generate vitally content I’d personally condition.. beli chocolate machine This can be a first-time My spouse and i used your online website and as much as at this point? I personally astonished with all the research you have made to generate that upload astonishing. Fantastic method! Hello there, You have done a great job. I will definitely digg it and in my opinion suggest to my friends. I am sure they will be benefited from this site. Very great post. I just stumbled upon your blog and wanted to mention that I’ve truly loved browsing your weblog posts. In any case I will be subscribing to your feed and I am hoping you write again very soon! Hello, i think that i noticed you visited my blog so i got here to “go back the favor”.I’m trying to to find issues to improve my site!I guess its ok to make use of a few of your ideas!! Thank you for the auspicious writeup. It in fact used to be a enjoyment account it. Look advanced to far introduced agreeable from you! However, how could we be in contact? Hey there would you mind sharing which blog platform you’re using? I’m planning to start my own blog soon but I’m having a tough time making a decision between BlogEngine/Wordpress/B2evolution and Drupal. The reason I ask is because your layout seems different then most blogs and I’m looking for something unique. P.S Sorry for being off-topic but I had to ask! I was just searching for this info for some time. After six hours of continuous Googleing, at last I got it in your web site. I wonder what is the lack of Google strategy that do not rank this type of informative websites in top of the list. Normally the top sites are full of garbage.